The Elaho Room Controller provides a complete power solution for small- and medium-sized rooms - all from a single product. Elaho Room Controllers feature a multi-space control structure that allow each output of the Room Controller to be assigned to a unique space, or multiple zones to one space. 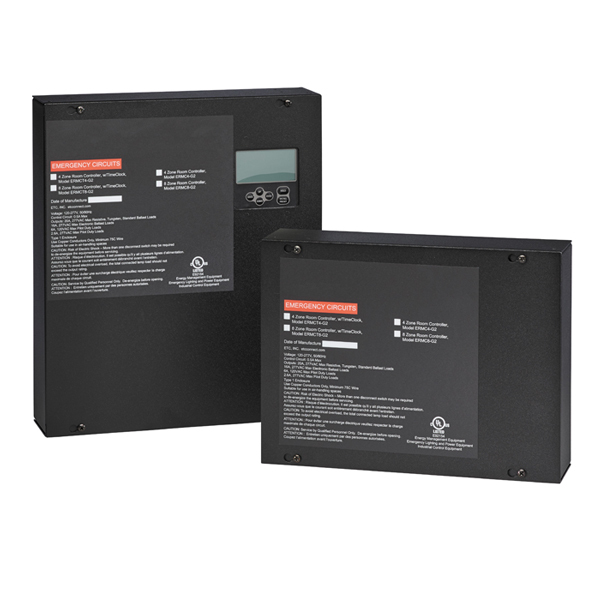 Its feed-thru power input allows a single power input to feed all relays, or a discrete power input for each relay based on your system capacity. Relay and 0-10V control remain individually controlled no matter how the panel is fed. Room Controllers provide additional interfaces for A/V integration, Demand Response input from a utility company, and UL924 emergency bypass built into each controller, making it ideal for classrooms, offices, churches, and all general area-lighting needs. Emergency lighting is easy to support with Elaho Room Controllers. A UL924 Sense Feed input for triggering control bypass adds significant emergency lighting control functionality at no additional cost. The integrated normal power sensing eliminates the need for an external Emergency Bypass Detection Kit (EBDK) or other device to generate a contact closure to trigger an Emergency State; but a contact input is also supported when needed. Energy codes and energy companies alike have growing requirements to reduce your power consumption during high-energy usage. The Room Controller meets these energy requirements by accepting a contact input from the power company to impose a configured maximum output per zone. This Demand Response state is shared across the Elaho network, allowing Zone Controllers to participate in the energy reduction effort. The Room Controller lives on the Elaho network to support all Elaho power and control products. It comes with built-in Elaho bus power, supporting six external stations and five external power-control products. With a wide range of button stations, fader stations, Responsive Controls and Interfaces, the Room Controller gives you the proper controls for almost any installation.